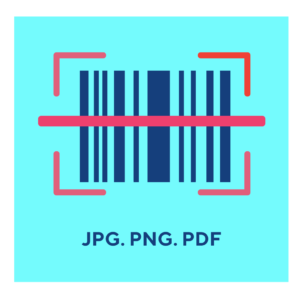 Bytescout BarCode Reader is able to open and read barcodes from image files (PNG, JPG, TIFF, GIF, PDF) and extract barcode value as text (you can select and copy extracted value). BarCode Reader can be used to read barcode from Web camera – click here to learn how. new barcode types supported: GTIN-8, GTIN-12, ITF-14, Code 93, MSI, GTIN-14, including MicroQR Code (2D), HanXinCode (2D) – NEW! You can download BarCode Reader HERE. If you need to use BarCode Reader on a company level, you would definitely get our business user license. Check BarCode Reader for businesses – it has the same features but is available for commercial purposes. Barcode readers require a light source, a light sensor, and a lens to translate optical impulses. Those optical impulses become electrical ones that can be conveyed to a computer. The process is put simply into words, but actually requires a complicated process of coding and decoding. Barcode readers should offer platform stability and most importantly, privacy and security. ByteScout’s Barcode Reader delivers secure and reliable barcode reading without risk thanks to its online compatibility. We are 100% certain of the capabilities of our app that you can take our online application for a spin before deciding. It is a perfect barcode reader for PC, smartphone or other devices. Our Barcode Scanner will professionally decode a wide range of barcode types. This means you get various barcode scanners in one without buying expensive equipment or investigating how to read a barcode on your own. We are here to help you grow and understand how barcodes work with up-to-date information on barcodes. Everything you need to know can be found with our different applications, meant to make your life easier. ByteScout’s Barcode Reader is just one of many that will guide you in the dos and don’ts of barcodes.